custom stone request. price to be confirmed by caroline. 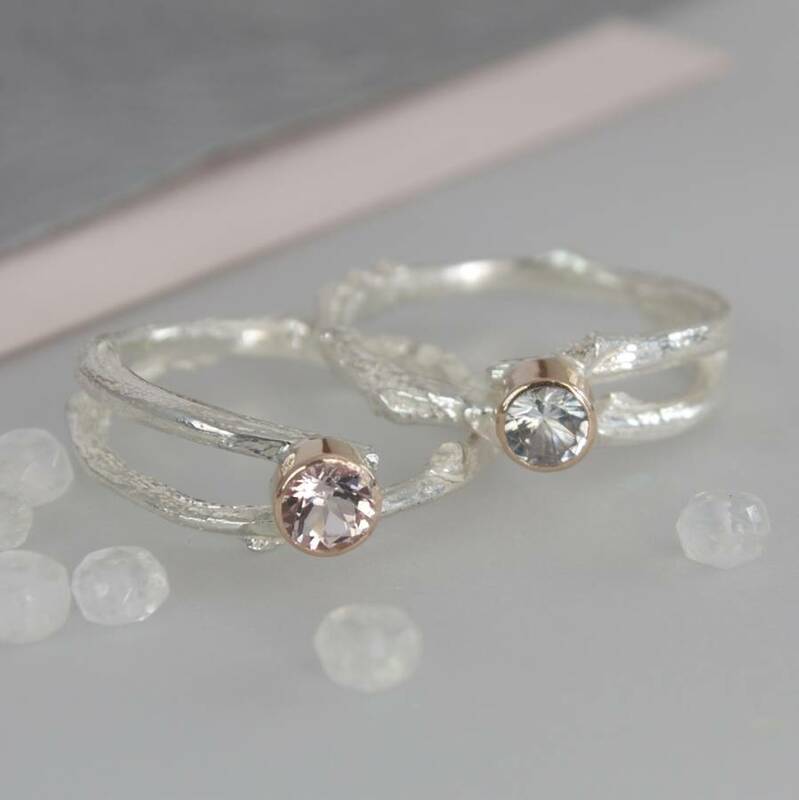 This delicate organic ring, inspired by nature and woodland is handmade in silver and rosegold and set with a brilliant cut sparkling gemstone. 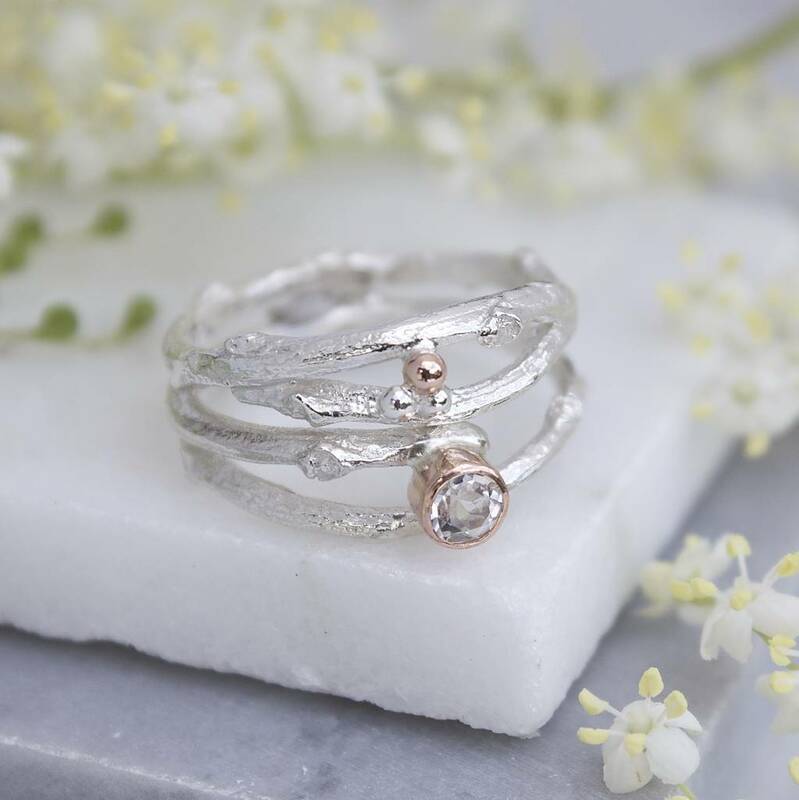 The silver woodland twig ring has a band that has been cast in sterling silver from a real woodland twig showing the beautiful bark texture and knots. Set into a rose gold bezel is a brilliant cut, 4mm gemstone. 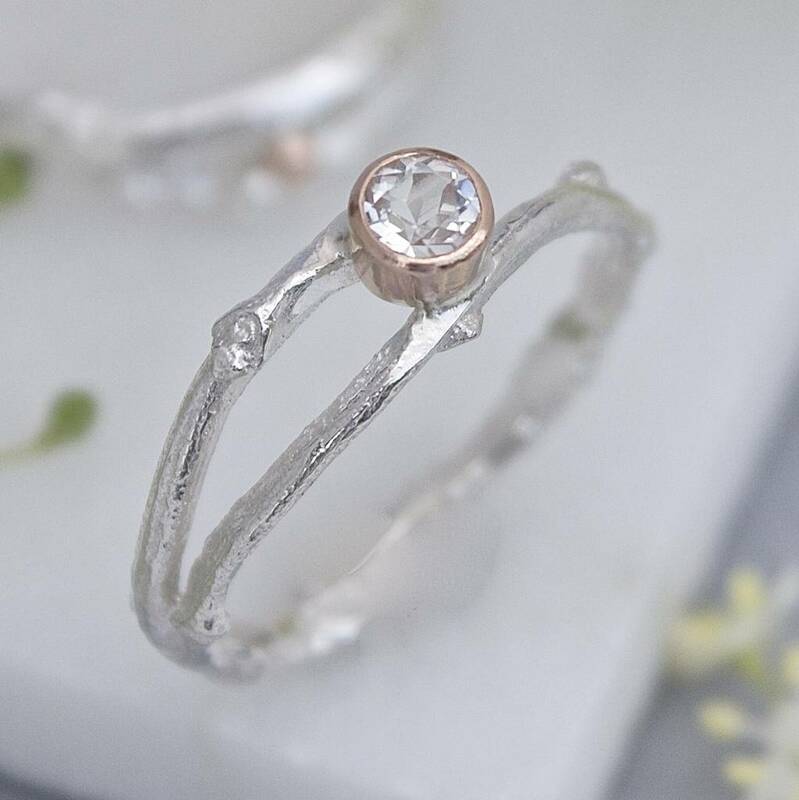 The combination of silver and rose gold is very attractive and makes this delicate organic ring a real beauty but if rose gold is not for you the setting can also be made in white gold or yellow gold. 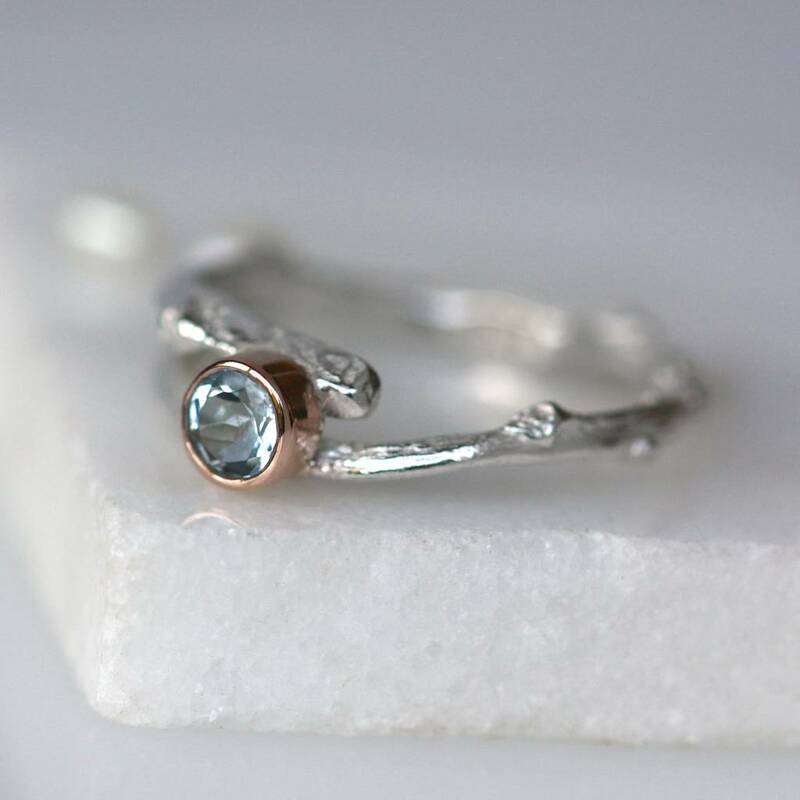 A stunning ring, handmade by Caroline Brook in her Surrey studio. 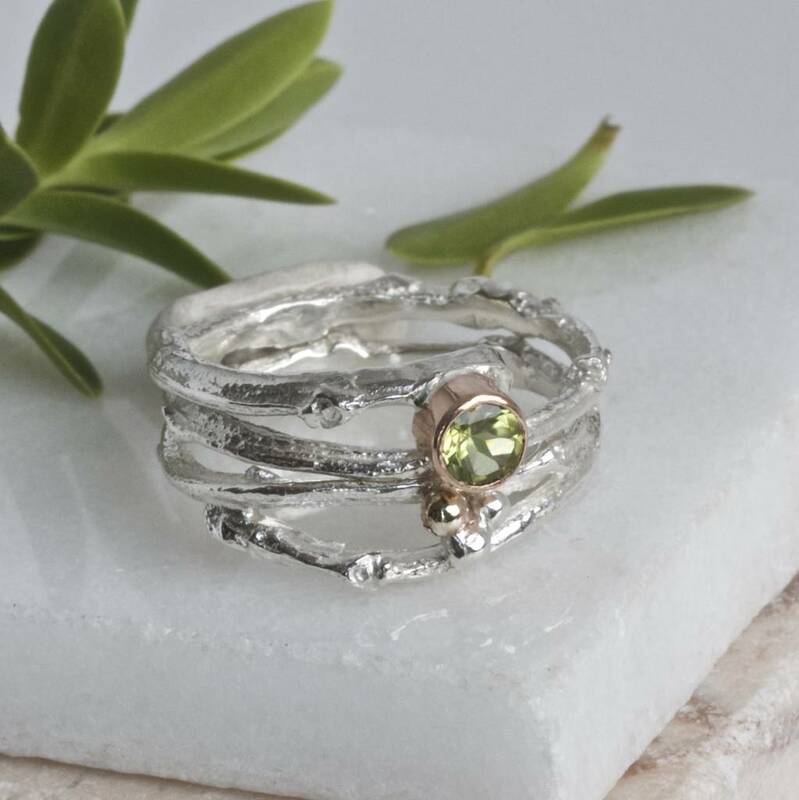 Ideal as a birthstone ring or for those that appreciate nature and like to wear something a little different. 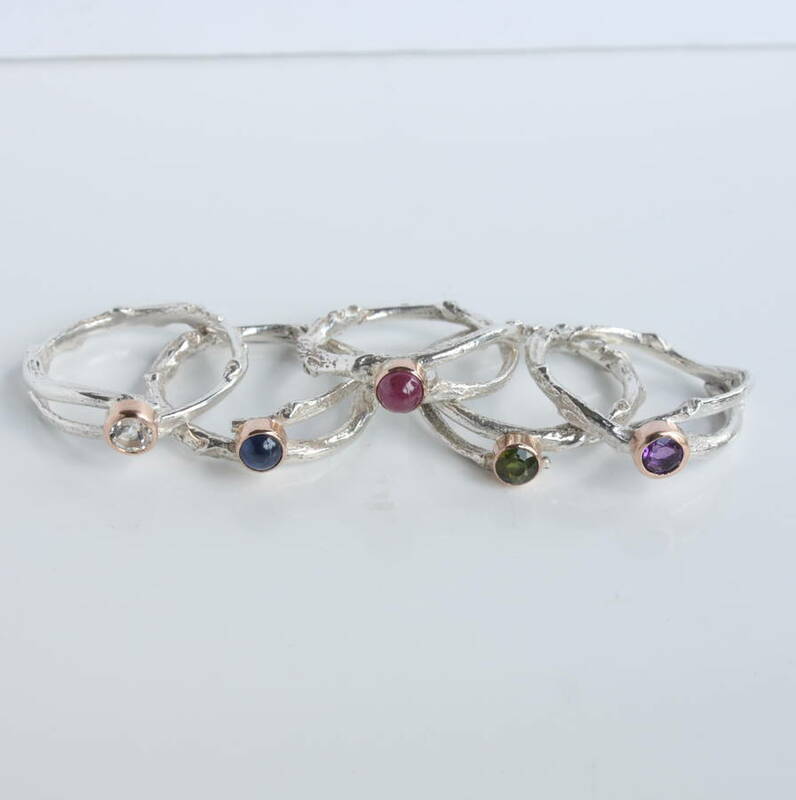 White Topaz: Blue Topaz: White Sapphire: Diamond: Morganite: Amethyst: Peridot: Citrine: Tourmaline. If you would like a different stone please contact me for a price. 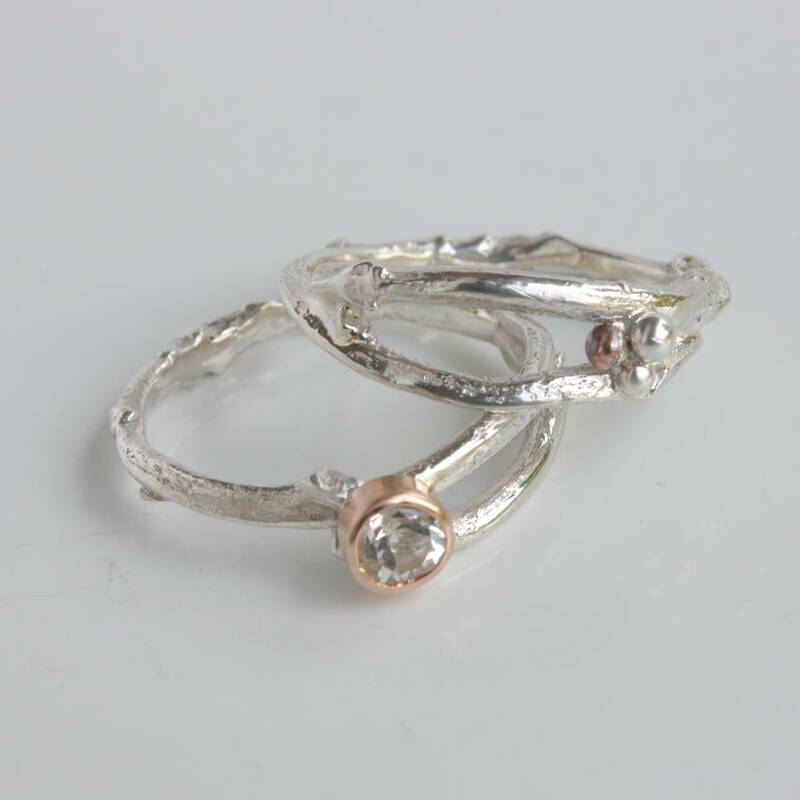 The ring can be ordered in various gold colours and carats. For 18 carat gold, please enquire for delivery times. 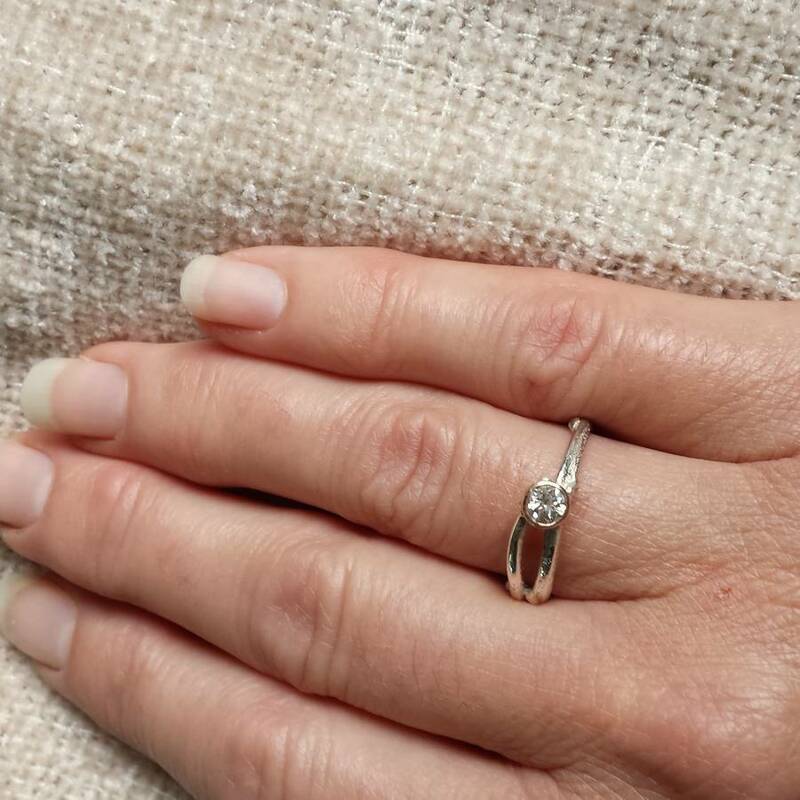 I would recommend that you get a professional ring size measurment by at least two different jewellers. 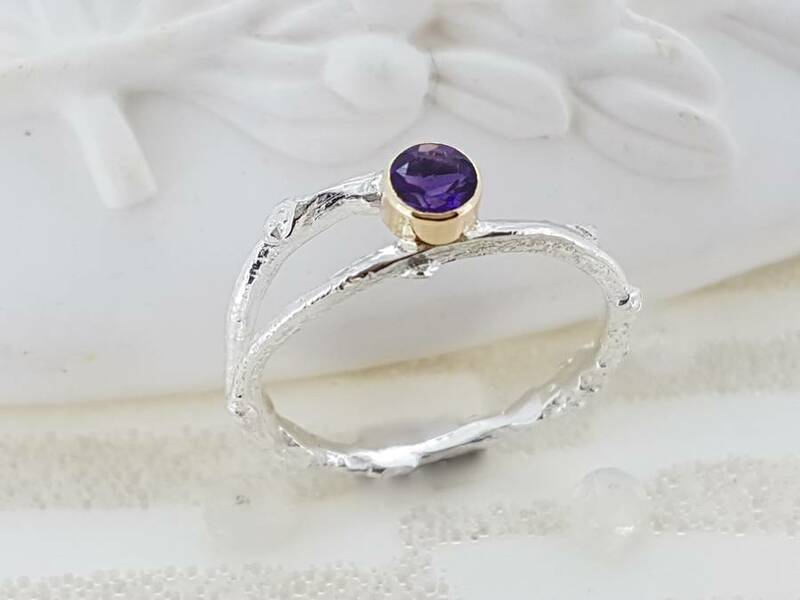 I will make your ring to the size you order. 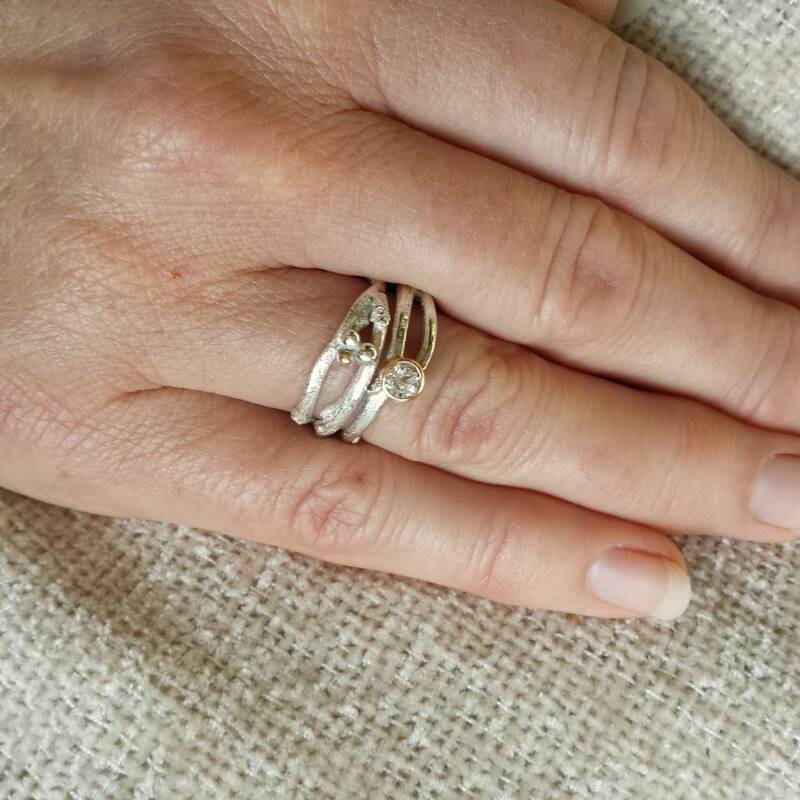 If you find you have ordered the wrong ring size then you can arrange a re-size for £20 plus £4.95 return postage. 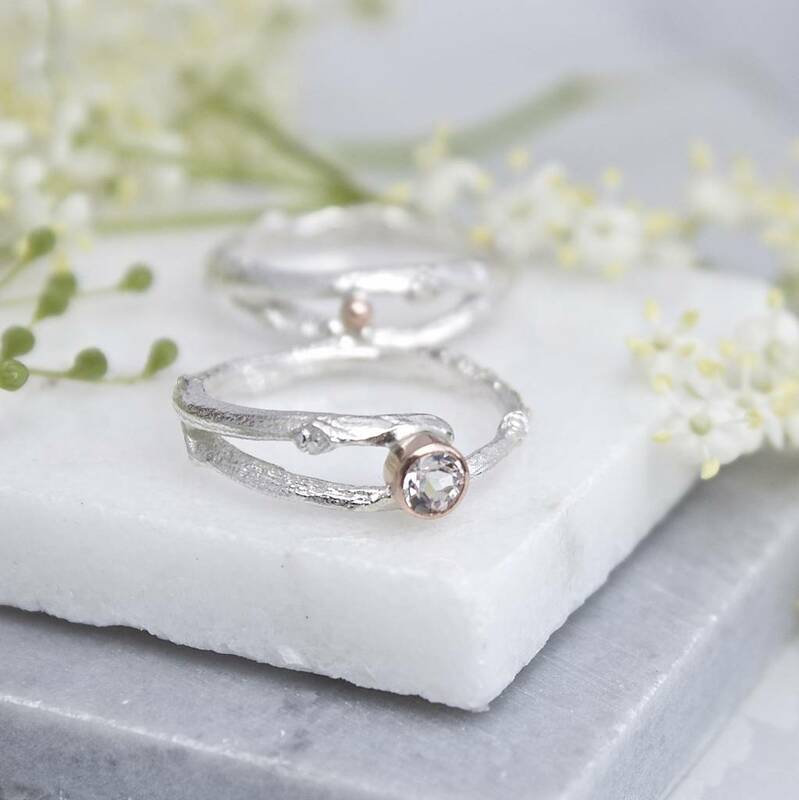 Your ring will come in a Caroline Brook gift box and you can request gift wrap and a personal message for an extra special touch. 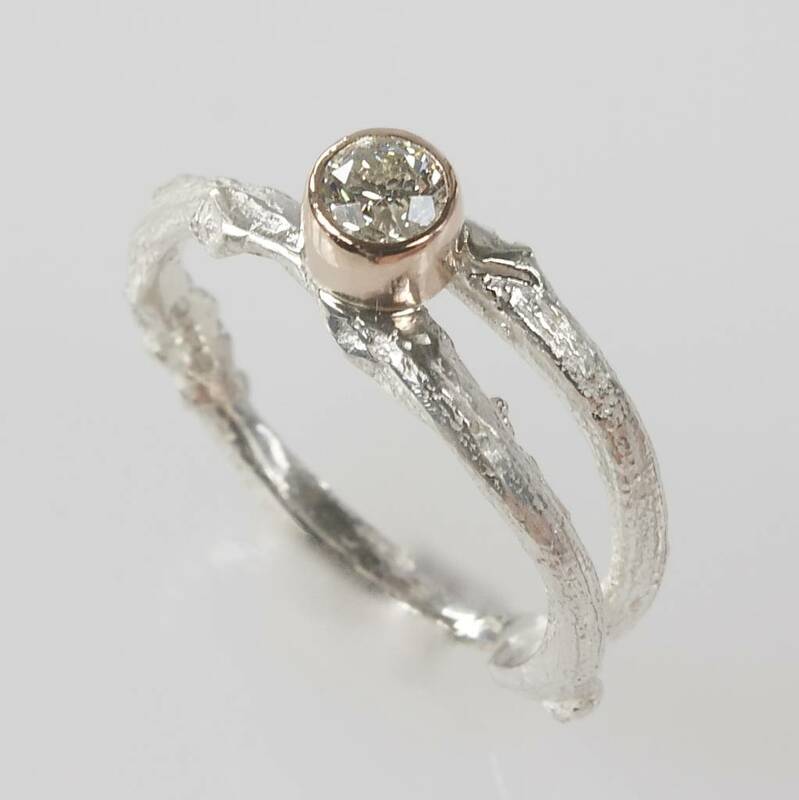 I personally hand make every ring, so I can usually accommodate variations. The band measures between 2 and 2.5mm. The stone is 4mm.